Our clients share how a relationship with ROI Revolution can drive your success. Elizabeth Brown, CEO, and Tamara Rosenthal, Marketing SVP at Viyet, discuss how creating a marketplace for designer furniture has led them to a partnership with ROI Revolution to enhance their paid search ad strategy. Viyet has seen overall company growth of 80% year-over-year thanks in part to ROI’s attention to detail and focus on technology to optimize their campaigns. Plow & Hearth is a nationwide retailer focused on high-quality home and lifestyle products. In this video, VP of Merchandising, Rich Koval, and Sr. Manager of Digital Acquisition, Jessica Thompson, explain how paid search and Shopping campaigns have increased opportunities for growth in non-branded search, leading to a significant surge in revenue and overall profitability. Ha-Kyung Choi, Ecommerce Manager at Mavi Jeans, a global denim lifestyle brand, discusses how -after seeing mixed results with another agency- they decided to partner with ROI on both paid search and social media. With a focus on transparent, data-driven strategies utilizing the most pivotal KPIs and metrics, Mavi has seen a substantial boost in return on ad spend and revenue. Global Value Commerce is the owner/operator of the world’s largest ecommerce platform for pre-owned golf equipment and new golf gear. CEO Ed Byman and VP/CMO Zack Veasey discuss how their company gains new customers through paid search campaigns enhanced by the extensive research and competitive analysis done by their ROI Revolution team. For more than 60 years, Leonisa has been one of the leading retailers of men’s and women’s intimate apparel and so much more. In this video, Juan Felipe Duque, President of Leonisa North America, discusses how a calculated approach to pay-per-click advertising has helped them generate more revenue and surpass their ROI goals. Spangler Candy Company is a family-owned company making candy since 1906. Their products include the famous Dum Dums lollipops, candy canes, and marshmallow candies. Jim Knight, VP of Marketing, discusses how “selecting ROI Revolution was definitely the right choice” for the management of their paid search marketing campaigns. Feelgoodz is an all-natural, eco-friendly lifestyle clothing brand. In this video, Mark Saad, CEO of Feelgoodz, explains how their brand saw exponential online growth with a marketing strategy focused on social media, detailed campaign analysis, and demographic targeting. 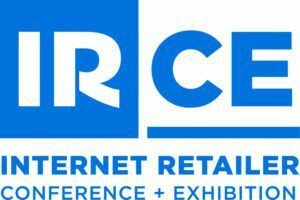 In this video, we got a chance to catch up with valued clients at IRCE in Chicago. Hear how ROI Revolution takes a client-focused, data-driven approach to build relationships and address pain points such as return on ad spend, tranparent communications, proactive campaign management, and more.